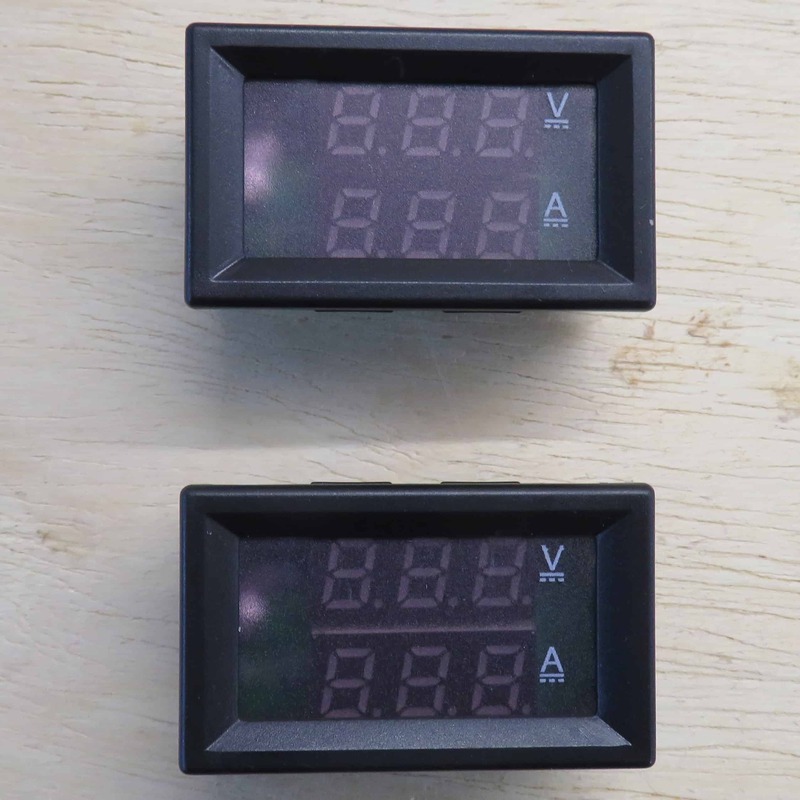 When we first installed the power supply cabling on the Purleigh layout, we added some digital ammeters and voltmeters so that we could monitor consumption and help spot any problems. This worked well so we decvided to do the same again. At £1.22 per device, I don’t think they should break the bank. Often we find we don’t have the tools that we need, this time we didn’t have the blue coloured wire that we needed – another order to Bitsbox! No update would be complete without a picture of Ray wielding the soldering iron. This week is no exception. Ray has also constructed the latest MERG DCC controller and used it later in the session to help identify problems in the one thta I built – wrong firmware as it turned out. Testing also identified a socket that had to be connected to the main wiring. This was completed just leaving the final end to end testing across the three baseboards to be tackled next week. 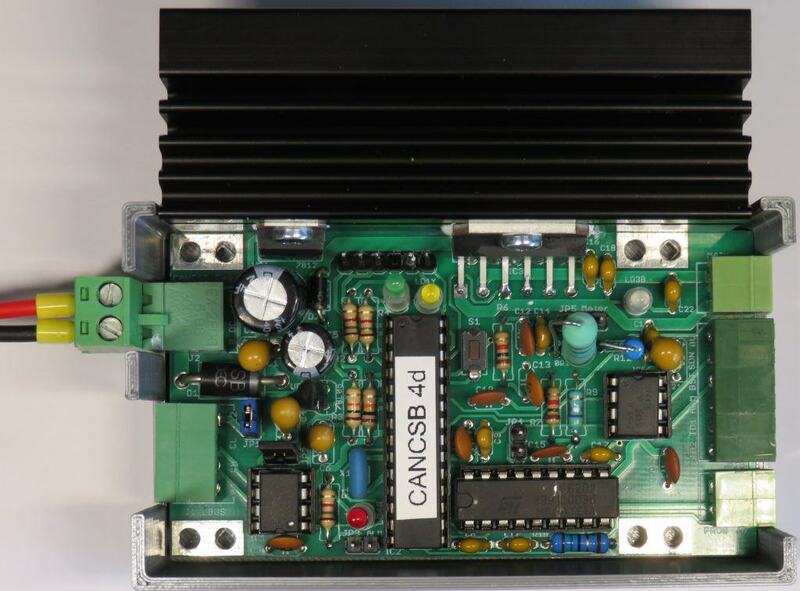 This is the module that will be used to power the DCC signals to the track. The black metal plate at the top is a heat sink to dissipate the heat generated outside the plastic box. The power cable is shown. The other sockets are for the layout control bus, the output to the track, output to a test track and the fourth is a connector that can be linked to a power booster if it is needed. If the controller passes its tests, the end to end wiring test is successful and we complete power connections then we should de done – for the moment.